The care at the Minnesota Birth Center trusts the process of growth, birth, and aging, nurtures your family, and honors changes you are experiencing. This means patient-centered care, open and honest conversations about health, longer appointment times and the feeling of home when you walk in our door. 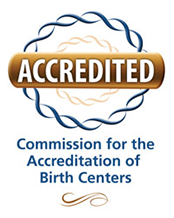 Our Certified Nurse-Midwives and Registered Nurses along with our expert partners provide a full spectrum of care ranging from gynecological services, family planning and birth control, prenatal and postpartum care, lactation support, perinatal consultations, and ultrasonography. From Pregnancy to Birth, Paps to IUDs to Annuals, the Minnesota Birth Center, we’re with you all the way.